I really love this book but I agree it is a hard read..especially if you have ever gone through the same sort of emotions..for me it wasn’t that extreme but I did go through a dark period and this book oddly was helpful for me at the time…but it was in my twenties when I was better able to understand the plot. I can see how it would be helpful through those times, to know you’re not alone. I read this one many years ago in school, and I couldn’t connect with it, I really didn’t enjoy it as much. I wonder if I would appreciate it more now, especially since it is such a classic and I feel like I should have a better appreciate it. It’s probably better to read this when you are older. I think you probably would appreciate it more now. I could tell while I was reading it that I would NOT have liked it in high school. Oh , my gosh. 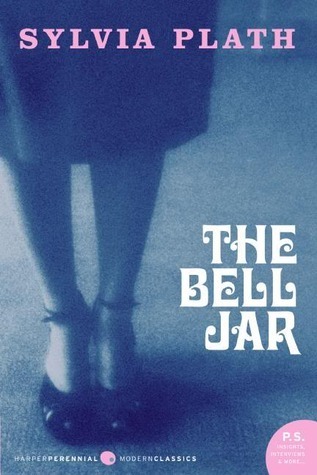 I forgot about The Bell Jar. I must go read it. I just wrote my own post about struggling people, and I was pulled by an unseen force to this post. I have been away from my blog for months. Thank you.